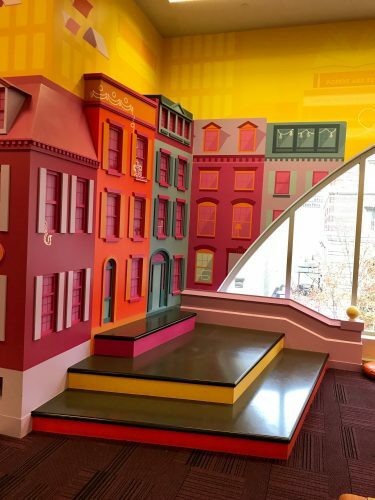 Last year, the Boston Public Library, which happens to be right across the street from The Lenox in Boston’s Back Bay, underwent a vast renovation that includes an interactive Children’s Room. With bright colors and comfortable reading space, this is the perfect escape for kids – and parents – looking for a fun activity to do in their spare time. With so many great new features, it’s hard to know where to begin at times. 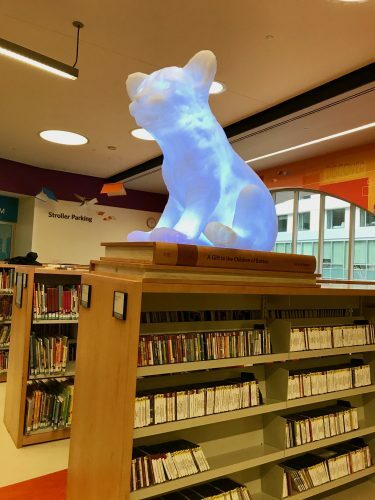 We’ve compiled some of the features that we think are the most unique and entertaining, which will help get you started on your day at the BPL! 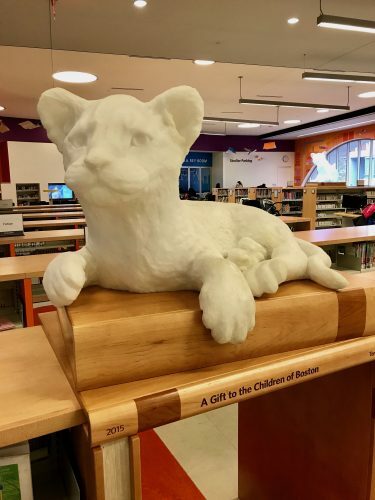 Atop of the shelves in the Children’s Library, lies a stone lion cub either sitting on top of a book or reading one. What’s so unique about them? Whenever a child approaches the lion cub, they light up in different ways. In resting mode, the lion cub figures rotate through various colors. This feature is so unique that no picture can do it justice and you must see it in person to truly capture the experience. The StoryScape story hour building is modeled after those old Boston brownstone buildings. These structures were created by Mystic Scenic Studios of Norwood, MA and are sure to make your child feel like they are reading a book on the front stoop of their very own building. There is never a shortage of books in the library, and they also feature quite a lot of local Massachusetts authors, so finding something every child can enjoy definitely won’t be a problem here. Between the book shelves, there are large gaps that turn into tunnels for only the best exploration experiences. 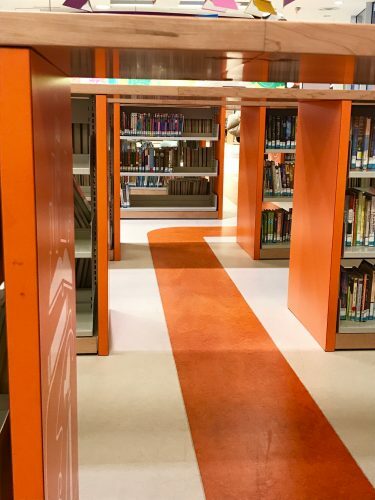 In the colder months, it’s easy for kids to assume that their exploring adventures have to be put on hold until spring and summer, but these tunnels at the library add a whole new dimension to winter exploration. Whether they want to recreate a scene in one of the book’s they read, or just explore what else this fun Children’s Room has to offer, their imagination is sure to be put to good use. If you have not already visited the Children’s Room at the Boston Public Library, now is definitely the time to do so. After you’ve checked out all these great features, meander across the street and refresh at one of our restaurants, City Table or Solas. Happy reading!